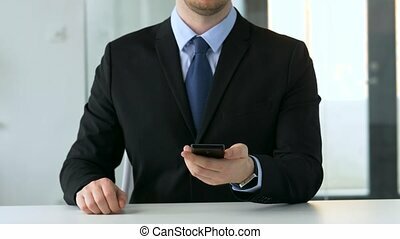 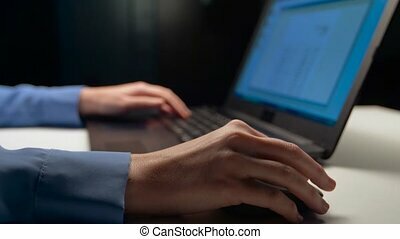 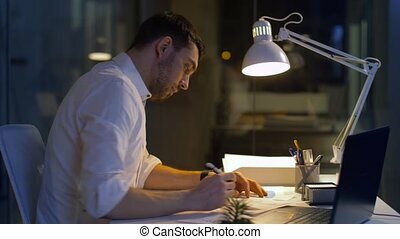 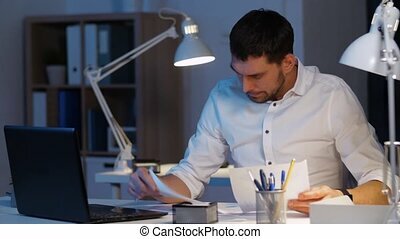 Businessman with laptop working at night office. 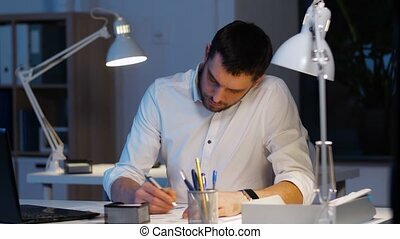 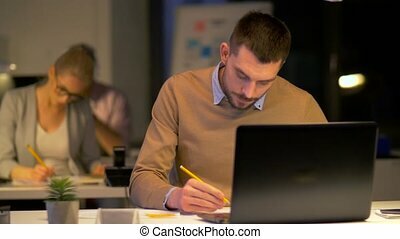 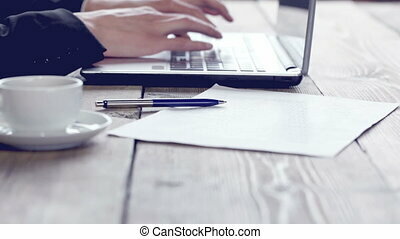 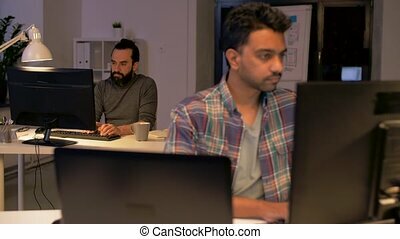 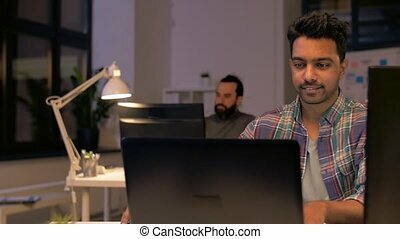 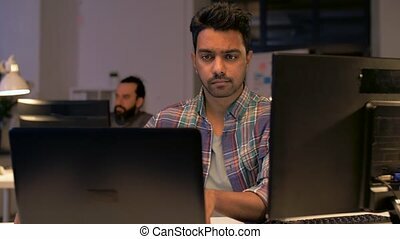 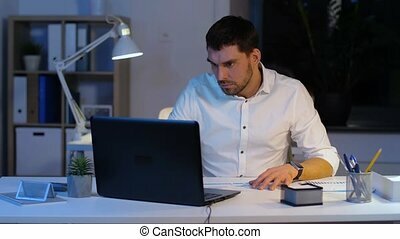 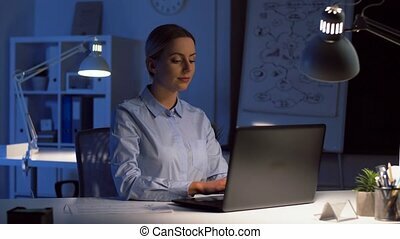 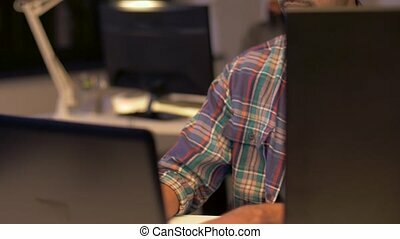 Business, deadline and people concept - businessman with laptop computer working late at night office. 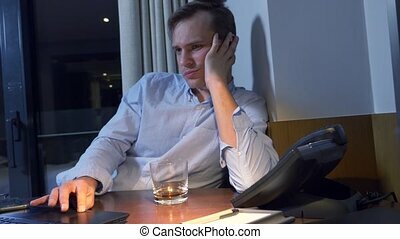 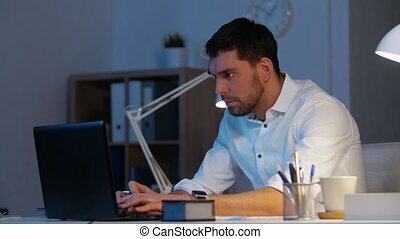 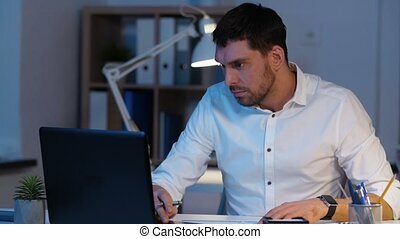 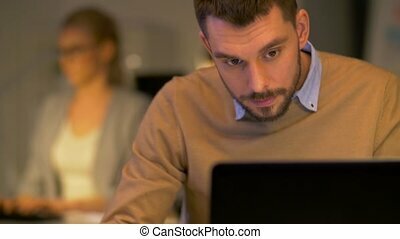 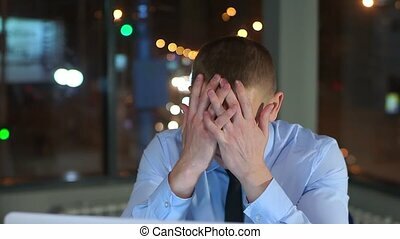 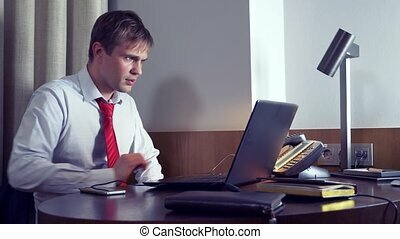 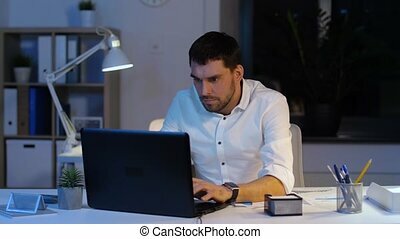 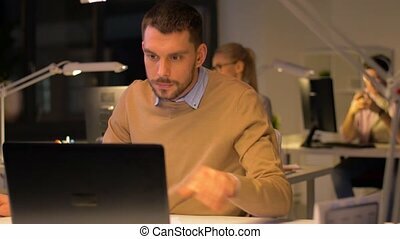 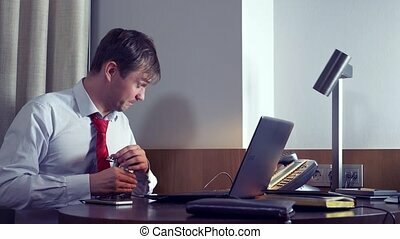 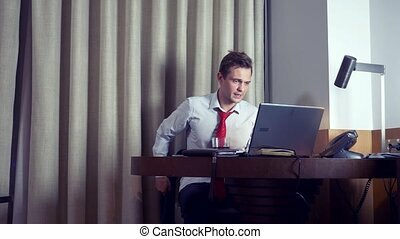 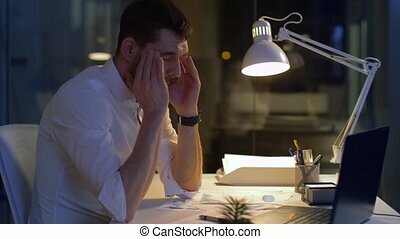 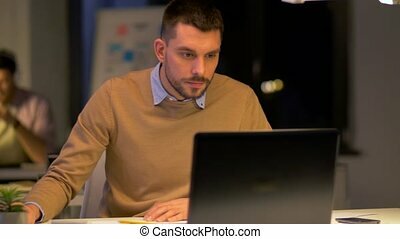 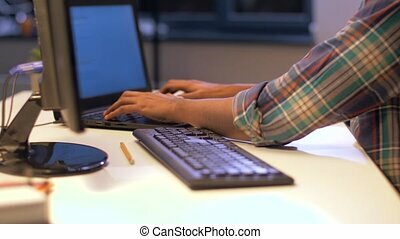 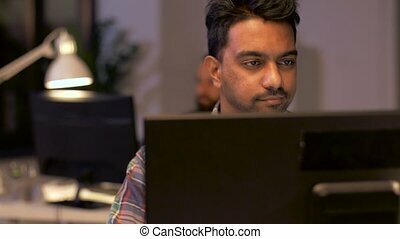 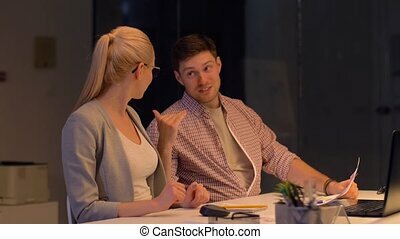 Tired businessman working late at night with laptop in office. 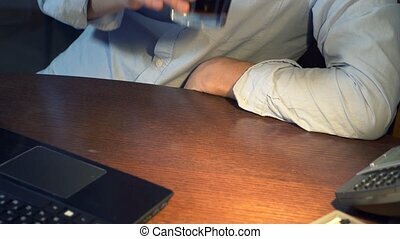 Close-up, slow motion. 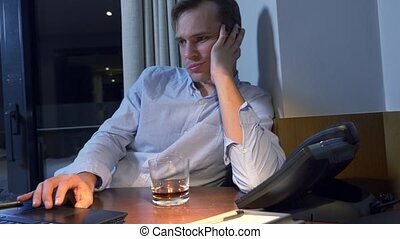 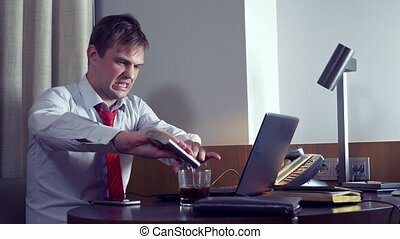 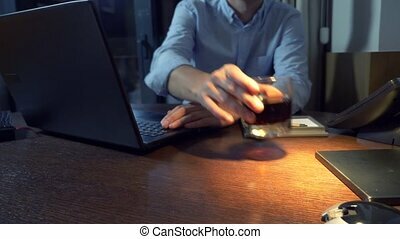 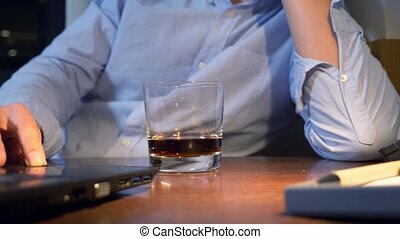 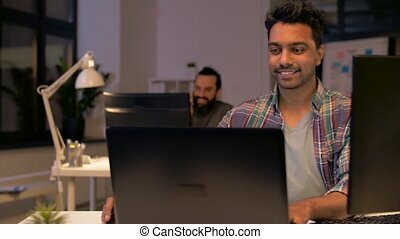 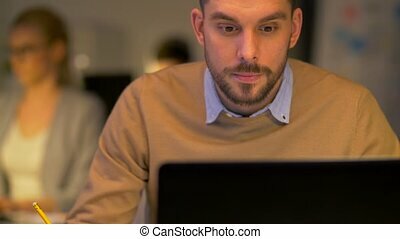 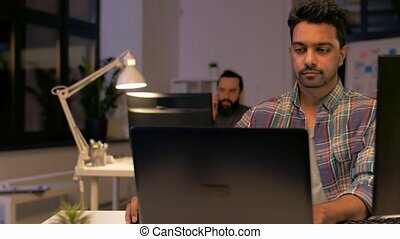 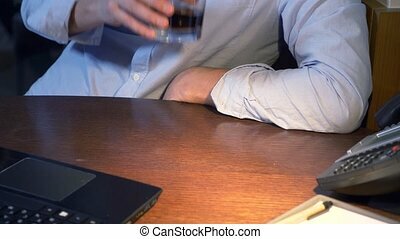 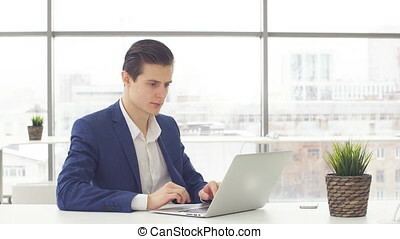 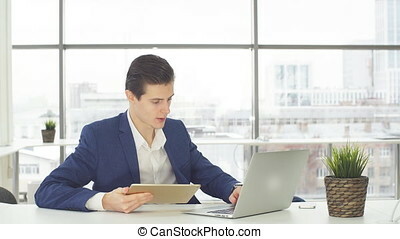 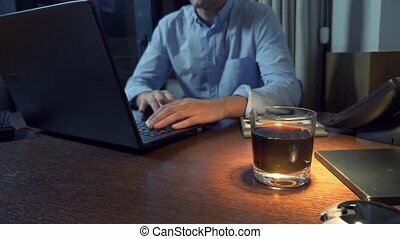 businessman drinking alcohol while working with his laptop at night, 4k.